French Canal Boat Company announced their presentation about Vintage Luxury Barge Cruising in France to be held on Sunday, March 17, 2019 from 12:30pm to 1:00pm. Experts will discuss The Loire, France’s longest river, Burgundy, originally a watery super-highway connecting the rivers Yonne and Soane, and opportunities to see a private view of its hidden history. French Canal Boat Company announced their presentation about Vintage Luxury Barge Cruising in France to be held on Sunday, March 17, 2019 from 12:30pm to 1:00pm. The educational session will take place at the Destination Theater inside the Washington, D.C. Travel & Adventure Show. Kim Dickey, Sales and Marketing for French Canal Boat Company, will highlight why barge cruising is becoming increasingly popular. “I’m looking forward to educating attendees about how the barge, crew, itinerary, region, food and wine all combine together for a truly unforgettable luxury vacation experience,” said Dickey. Destination Theater speakers discuss where to go, when to go, what to do and how to get there, providing attendees with the in-depth information required to travel like a local. 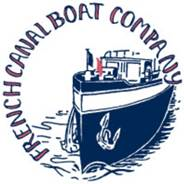 French Canal Boat Company will also be exhibiting at the Washington, D.C. Travel & Adventure Show at booth #1005. They will have experts on site to meet with consumers interested in barge cruising and booking reservations. Experts will discuss The Loire, France’s longest river, Burgundy, originally a watery super-highway connecting the rivers Yonne and Soane, and opportunities to see a private view of its hidden history.